The Jack Boulton Memorial Trophy was played on 13th October 2018. After heavy rain and high winds the day before it looked unlikely to happen but the weather changed for the better with 29 teams of 4 competing. The winning team was made up of Teresa Gwyther, John Laver, Adam Coles and Kira Veal. They won with 104 points just beating the runner up team on count back. 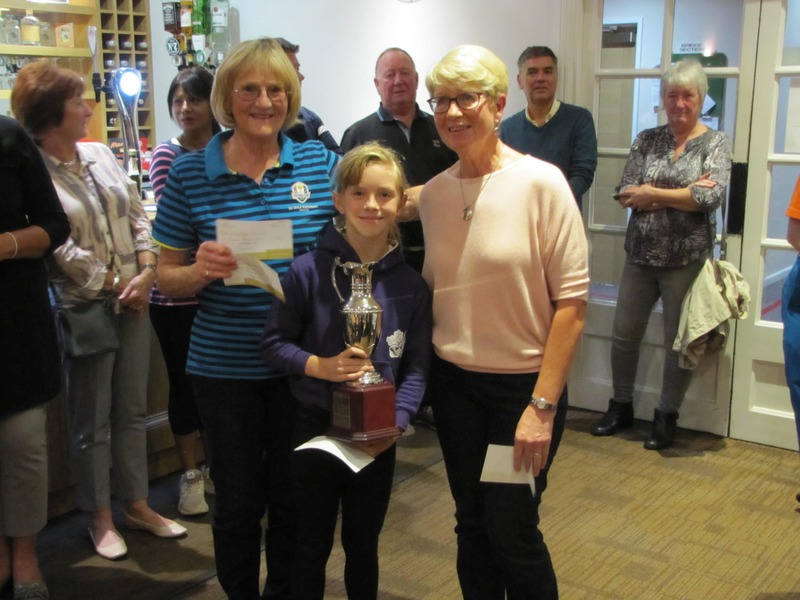 Pictured are Jane Russett (ladies captain), Kira Veal (holding trophy) and Teresa Gwyther. The event raised £315 for CRY. Amazingly, Dewi John had a hole in one on the 9th hole, the first time in this competition!